We always want what we don’t have. Isn’t that the way life is? 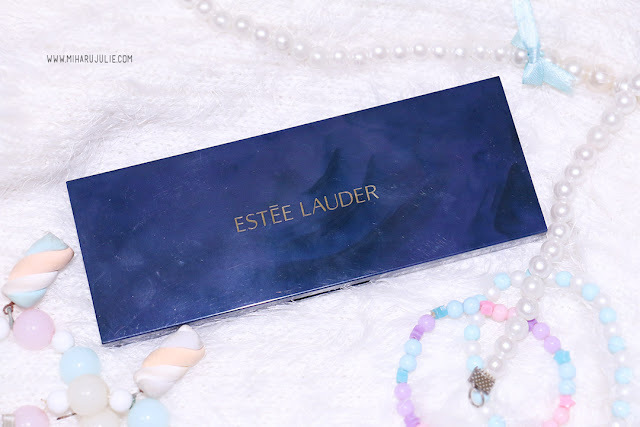 I have quite a lot of eyeshadow palette but I have think it doesn't enought when I saw Estee Lauder Pure Color EyeShadow and Blush Palette. Pure Color EyeShadow is remarkable. It has an enviable silkiness and ultra-smooth texture that meshes with skin rather than looking like powder sitting on top of it. Each shade is packaged in a dark blue flat compact that includes a built-in mirror and throwaway sponge-tip and brush applicator. There are two applicators, brush and sponge. I probably won’t use (one of them has a little brush at one end), but they are there for anyone who needs them. The texture was soft, smooth, and lightly powdery. It also has a good lasting power. My favourite shades is a Candy Crave Satin, Peacock Blue Shimmer, and Amethyst Spark - Shimmer. The shadows come in an excellent variety of finishes, Satins and shimmers. There is a small array of neutrals, with most of the shades being near vibrant. You’ll find a five shimmer shades in these palette. They shades is really pigmented and you won’t wind up with glitter resting on your cheeks. Pure Color Blush’s advanced formula offers the following features and ingredients: Exclusive True Vision Technology wraps concentrated pigments in a crystal-like coating to provide lasting. A skin-loving antioxidant complex featuring cranberry and goji berry extracts and “Luminous Optic” technology brings out the cheeks’ inner glow by adding natural radiance and dimension. The lightweight formula with a smooth, non-drying, buildable coverage. Pure Color Blush Shimmer creates maximum-volume shades with prismatic light-reflecting pearls for a sophisticated cheek shimmer. Pink Ingenue shades has much more brown in it than I had anticipated, but that makes it look extremely natural on my cheeks. All the shades swatch, perform, and wear well, especially the more shimmery ones. Estee Lauder really nailed the eggplant purple. We all know that purple is a tricky color family when it comes to eyeshadows. More often than not, they are dry, patchy, poorly pigmented, and difficult to work with. For me, this one has just the right amount of intensity. It is pigmented enough to create depth with no fuss, but also blends out so beautifully that it requires no skin-tone transition shade to soften the edge. Great palette and review sweetheart...thx for sharing! lovely packaging and so pretty color.